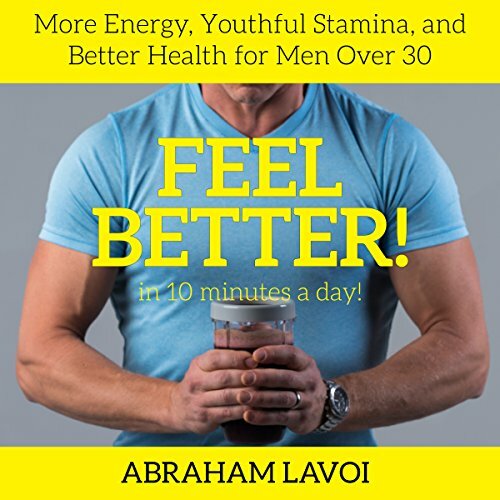 Showing results by author "Abraham LaVoi"
Feel Better in 10 Minutes a Day! Middle age happens to everyone, and for us men, it comes with all the consequences: the "dad bod", lost energy, diminished mental focus, reduced ambition, adopting an apathetic approach to life rather than taking it by the horns. The good news is this: you can do something about it! Author Abraham LaVoi began a journey to better health in his mid-40s and has now put his plan out to the world. This 10-minute-a-day plan includes recipes, exercise tips, and other important ideas!